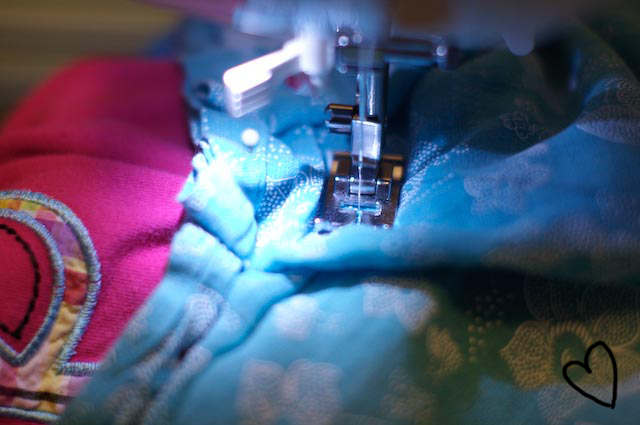 I am happy to announce that I have officially used my new sewing machine! 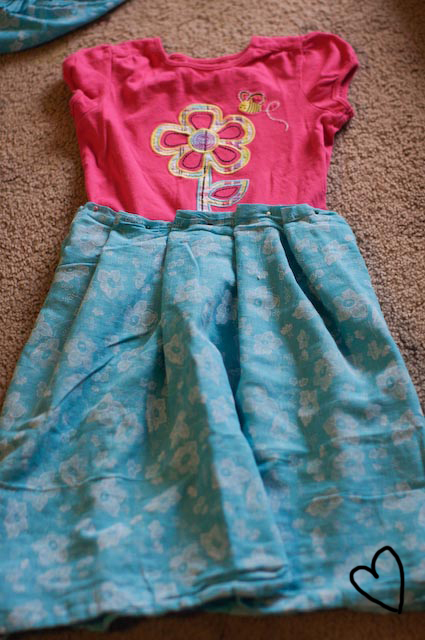 I hemmed Corley’s school pants in a snap and then she and I worked on this cute little play dress together. Zipped it out in a couple of hours and she got to pick the things we put together. It was a lot of fun to watch her ‘design’ her own dress. Man, it opened a can of worms too! She now thinks I can make anything she dreams up. So far I’ve got to make a princess dress with poofs at the top of the sleeves, and tight arms down at the bottom. And, the skirt MUST go to the floor. She fully intends to wear said dress to church when it’s finished and has already convinced her younger brother to rescue her from her imaginary tower. I think we will have to have a conversation about Mommy being a novice…. Either way, here is the dress we made. I took an old tshirt that had gotten a bit too short and we chose a coordinating fabric. I measured about double around her waist because we were going to attempt the paper bag skirt. 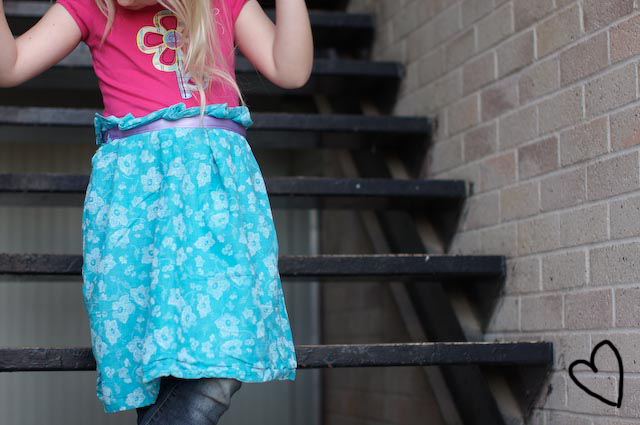 Then we began pinning the skirt to the tshirt, adding pleats about every two inches. The fabric we chose didn’t require a hem on either end, but if you chose one that did, you would want to hem that before you pin and pleat. 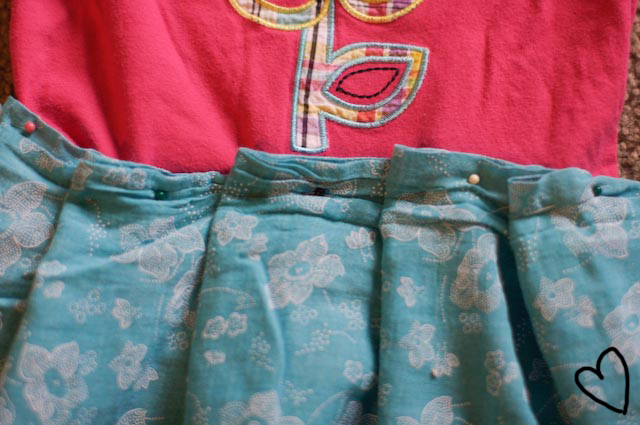 I then attached the skirt to the shirt with just simple straight line about 2 inches down from the top. Lastly, she picked a ribbon for trim around the waist. I sewed it down with two straight lines, making sure my starting and stopping points ended on the side hem. 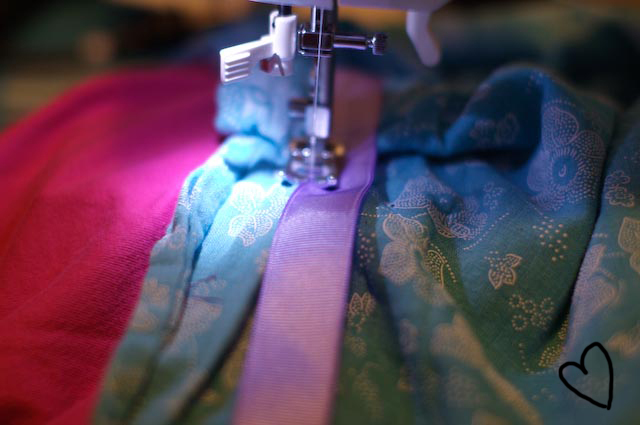 You will also want to turn under the ends of the ribbon so you aren’t left with a raw edge at the seam. She loved the finished product and asked to wear it two days in a row. Now, I know it’s not an advanced project but I do think it turned out cute 🙂 And I enjoyed doing it for my daughter. Looking forward to more projects and learning more sewing techniques! 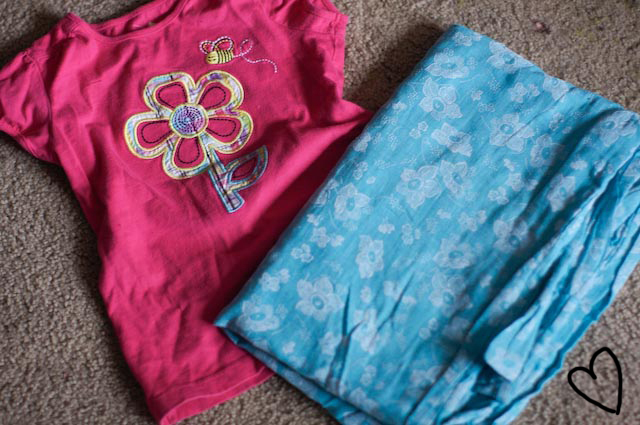 This entry was posted on January 16, 2013 by annambowman in DIY Projects, Frugal Living, Sewing, Uncategorized and tagged beginner sewing projects, cheap fashion ideas, girls dress, inexpensive gifts, recycled fashion, tshirt dress, upcycled tshirt.